Conifex Timber is expanding its US assets in Arkansas and Florida, increasing its US lumber capacity to 550 million board feet. In other Business news: lumber prices continue to soar (Bloomberg); US builder confidence is up again (Washington Post); a bipartisan effort to halt US newsprint tariffs gains support (St. Louis Dispatch); and the cost of climate change is rising for Canadian insurers (Globe and Mail). Alberta has designated four new provincial parks, creating the world’s largest contiguous protected boreal forest. In other Forestry news: a US research group says higher-resolution remote sensing can reveal more about forest fire recovery; a US fire ecologist says the Southwest needs to burn 5 million acres per year; and EACOM’s 1st female chief forester is encouraging women to join the profession. Finally, a stark sidebar to a story on US law enforcement fatalities—according to the US Bureau of Labor Statistics—the most dangerous occupation by far in 2016 was logging. It is a cannibalistic, fist-sized frog covered in a noxious mucous secretion that burns your eyes. Its affinity for human structures leads it to clog drains and short-out the utility switches in which they lurk. They are spreading through the U.S. and we can’t stop them. Several message board commenters report that this proliferation is part of a communist invasion. …For decades, the only known established populations of Cuban Tree Frogs in the continental US were inside Florida’s borders. This changed in 2016, when the frogs were found at the Audubon Zoo in New Orleans some 430 miles away from the nearest known population. Now, experts say it’s only a matter of time before the species proliferates throughout the Gulf Coast. …the Cuban Tree Frog will eat anything it can get in its mouth, including native tree frogs …Experts agree that it is nearly impossible to get rid of the Cuban Tree Frog once it’s established. 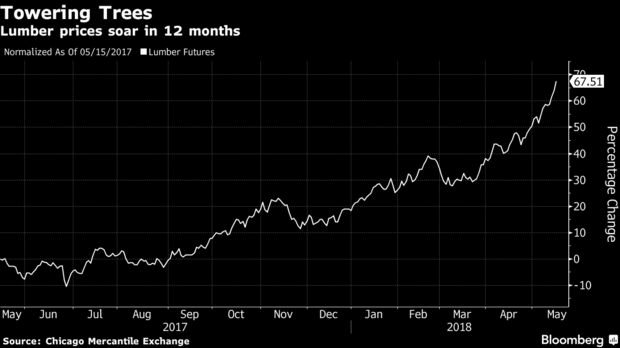 The lumber market is red-hot, with futures rising to another record on Tuesday thanks to a confluence of import tariffs, transport bottlenecks and strong housing demand. The futures rose 1 percent to close at $619 per 1,000 board feet on the Chicago Board of Trade. They’ve surged 66 percent in the past 12 months, a bigger gain than any of the raw materials tracked by the Bloomberg Commodity Index. Price are likely to keep rising, according to analysts at Bloomberg Intelligence and much to the chagrin of U.S. homebuyers. …The lumber rally picked up steam after the U.S. in November imposed import duties… Lumber producers such as Canfor and West Fraser also have piles of inventory because of a lack of transport capacity. Single-family housing starts …continue to increase, and orders are expected to rise now that spring building season has arrived. VANCOUVER — Conifex Timber announced today that it has reached an agreement with BW SLC Holdings… to purchase all of the outstanding membership interests of Suwannee Lumber, Suwannee Timber Management, and Caddo River Forest Products. The BW Group owns the Suwannee sawmill in Cross City, Florida and the Caddo River sawmill in Glenwood, Arkansas, which both primarily produce Southern Yellow Pine softwood lumber and specialty products like decking. The Suwannee Mill and Caddo River Mill each have an annual dimension lumber capacity of approximately 185 million board feet on a two-shift basis. …Conifex’s annual lumber production capacity will increase by approximately 50% to 1.1 billion board feet while its dimension lumber platform in the Southern U.S. will increase by 200% to approximately 550 million board feet. U.S. homebuilders are feeling more confident about their sales prospects, reflecting strong demand for newly built homes with existing homes in short supply. The National Association of Home Builders/Wells Fargo builder sentiment index released Tuesday rose two points to 70 this month. That’s up from a revised reading of 68 in April and snaps a four-month slide in builder confidence. Any reading above 50 indicates more builders see sales conditions as good rather than poor. The index has remained above 60 since September 2016. May’s index exceeded expectations for a reading of 69, according to FactSet. …Despite the overall increase in confidence this month, builders are facing record-high prices for lumber, the NAHB said. Those costs are contributing to rising home prices, making new homes less affordable, especially for first-time buyers. From humble beginnings traipsing through California’s vast forests with his dad to salvaging wood from forest fires, Red Emmerson has built a logging empire by being cheaper and more aggressive than his rivals. …the Rim Fire tore through 257,000 acres on the edge of Yosemite National Park in 2013. Not long after firefighters doused the flames, a fleet of bulldozers and trucks arrived, sent by billionaire Archie Aldis “Red” Emmerson. Workers began ripping up the trees even as the brush nearby was still smoldering. …Nicknamed “Red” as a teen for his hair color, Emmerson is happy to reminisce about the many fires from which his Sierra Pacific Industries has profited. …the feisty tycoon, who runs the business with his two sons, …makes more money from logging after forest fires than any person in America. The Seattle City Council on Monday approved a new “head tax” on its largest businesses, and while being termed the “Amazon tax,” many other prominent U.S. corporations stand to take a hit as well. The tax comes out to 14 cents per employee per hour, or $275 per employee annually, on for-profit companies that net at least $20 million annually. The rationale for the tax is to raise money to pay for housing for the city’s homeless. 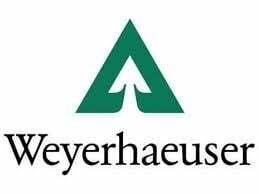 …Tree grower and forest product manufacturer Weyerhaeuser has been a Seattle-area staple for more than a century. The company, which has been in the region since 1900, employs at least 700 people at its corporate headquarters. U.S. Senator Claire McCaskill (D-MO) is backing a bipartisan push led by U.S. Senator Susan Collins (R-ME) to halt excessive taxes on paper imports that are critical to Missouri’s newspaper and printing industries. The bipartisan legislation, which has been endorsed by printers and publishers representing more than 600,000 American jobs, would suspend the import taxes on uncoated groundwood paper while the Department of Commerce examines the health of—and the effects on—the printing and publishing industry. “Local news, and newspapers that provide it, are critical pieces of a community and our democracy—they pay attention to what’s going on, hold those in authority accountable, and tell the important stories of folks making a difference in the community,” McCaskill said. American-owned forestry management company, Merrill and Ring, has been fined $39,000 and ordered to pay $20,000 in reparations after their actions and practices led to the flooding of a Marlborough property in November 2016. Merrill and Ring New Zealand Limited, who manages forestry in Marlborough, recently pleaded guilty to two charges… However, Merrill and Ring failed to ensure the streambed was left free of logs and other forestry related waste when they had finished harvesting, despite being instructed to remove woody debris by Council in June 2016. …In November 2016, during a period of heavy rain, the stream running through the forestry block flooded and subsequently burst its banks. The build-up of forestry debris and logs in the streambed from the commercial forestry operation substantially contributed to this occurring. New Zealand green building leaders are calling for urgent action on building efficiency, following new analysis that has revealed the built environment is responsible for about 20 per cent of all national greenhouse gas emissions, a figure up to 10 times previous estimates. 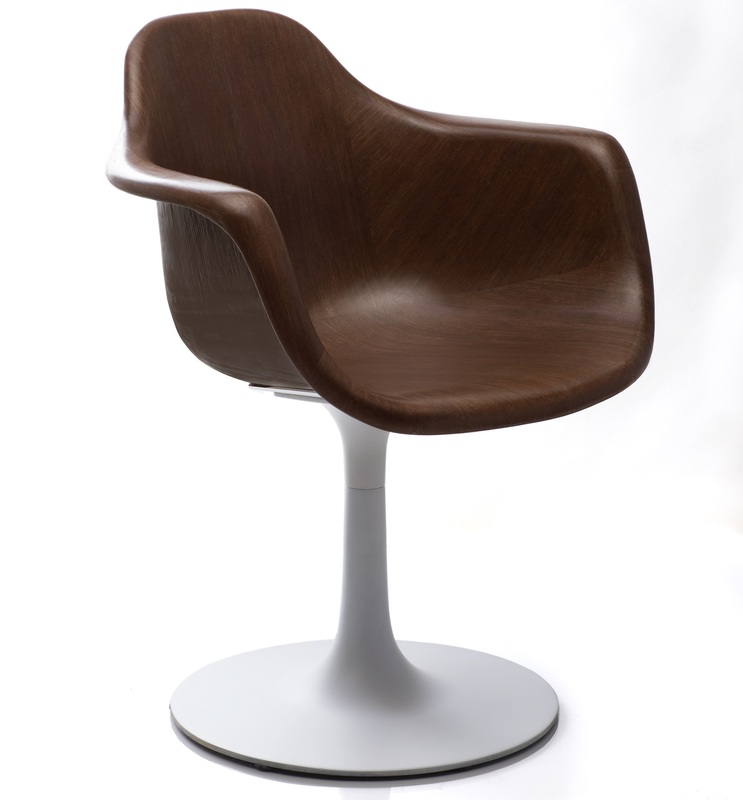 …The findings are also a real shot in the arm for suppliers of materials with lower embodied carbon, such as engineered timber products, he said. 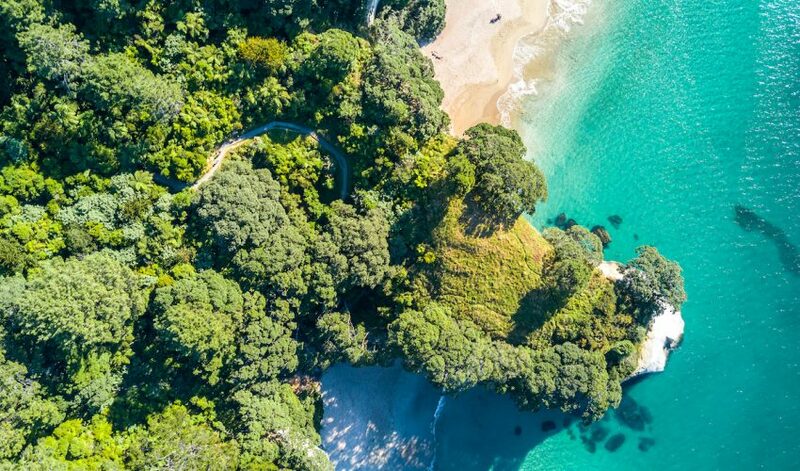 The report found that just over six per cent of NZ’s gross carbon footprint came from the production/construction phase of the built environment – 2.6 per cent from steel, 1.6 per cent from aluminium, 1.9 per cent from cement and other non-metallic minerals such as aggregates, and 0.1 per cent from other sources. Wood products were excluded as… their maximum possible emissions contribution is only 0.5 per cent of the national total. Alberta has designated four new provincial parks in the province’s north, creating the world’s largest contiguous protected boreal forest. About the size of New Brunswick, the 6.7-million-hectare chunk of forest builds on Wood Buffalo National Park north of Fort McMurray. The rejig expands the Birch Mountains park, and adds Kazan, Richardson, Dillon River and Birch River wildland provincial parks to the map. It’s the largest addition to the Alberta Parks system in history. …What evolved was a unique level of co-operation, which will see Indigenous communities partner with the government in a series of management arrangements to look after the new parks. The government is also exploring an Indigenous Guardian Program, through which First Nations and Métis peoples are hired to monitor the areas, help maintain the lands and provide education and outreach to park visitors. Correlieu Secondary School students had a chance to sit in a skidder, climb aboard a buncher and sit in – and blow the horn of – a logging truck last Friday …when the BC Council of Forest Industries held its first “Find Your Path – Embrace a Career in Logging and Trucking” event in Quesnel, with West Fraser Quesnel and Correlieu Secondary School. The full-day event was expected to attract about 400 students. Jim Costley… says this event is all about showing students the opportunities that are out there in the forest industries. Students receive a hands-on opportunity to learn about careers in the logging and trucking sectors of the forestry industry and get a chance to speak with operators and contractors to learn more about their jobs. As foresters — and those who work in the industry — gather in Timmins for an annual meeting, women in that sector will also take time to compare notes. The annual Ontario Professional Foresters Association’s annual conference is underway. On Tuesday night, a Women in Wood networking event will take place. …”Forestry has traditionally been a male-dominated sector,” Jennifer Tallman, said. She’s the first-ever female chief forester for Eacom Timber. Tallman says Women in Wood… works to encourage more women to get into the field and help those in the field achieve their career goals. …”I think that’s where we as women have the skills to work collaboratively and listen to all the viewpoints.” …Tonight’s event will also feature Faye Johnson, director of forest tenure and economics branch of the MNRF, and Beth MacNeil, assistant deputy minister of Canadian Forest Service. Sally Hightower won the award for 2018 Michigan Outstanding Tree Farmer of the Year earlier this year. She now is a regional finalist for the Midwest and is up against seven other U.S. tree farms for the national award. The American Tree Farm System, a national program sponsored by the American Forest Foundation, promotes the sustainable management of family forest land. 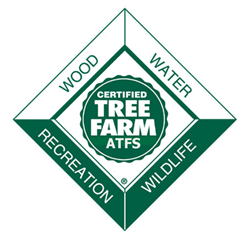 Tree Farm is the oldest and largest forest conservation, certification and advocacy program in the United States. Her property will be visited this month by judges from the American Forest Foundation. BEND, Ore. – Restoring Central Oregon’s federal forests is a big important job. Too many small trees crowd the landscape, putting homes and property at risk from intense wildfires. But what to do about it? For decades, finding common ground on forest management has placed competing interests at loggerheads. But in Central Oregon, a diverse group of stakeholders are working together to create science-guided solutions that strive for balance, landscape scale and local economic benefits. …The six-minute video showcases how stakeholders are working to restore central Oregon’s forests and make them more fire-resilient. “The forests in Central Oregon are adapted to fire,” said Pete Caliguiri, a fire ecologist with The Nature Conservancy. “With 450,000 acres of forest in need of restoration, it is important that we learn how to scale up our efforts. WILLIAMS, Ariz. — Poking sticks into rock crevices looking for rattlesnakes seems like something a precocious child might do, but last week it was two adult biologists playing this risky game in a remote section of Kaibab National Forest for the sake of conservation. The biologists are completing a survey of the Arizona black rattlesnake (Crotalus cerberus) as a component of the Four-Forest. Restoration Initiative (4FRI), a landscape-scale forest restoration effort in northern Arizona designed to reduce the threat of destructive wildfire, create healthy habitat for native plants and animals and create sustainable forest industries other restoration methods. The biologists are tasked to evaluate how the restoration of the forest is impacting the biotic components of the forest, including reptiles like the Arizona black rattlesnake. Five million acres per year. That’s how much forest needs to burn to return fire as an effective management tool in Southwest. Guess how much burns now. 600,000 acres. At most. That’s not even close to what’s needed to keep out-of-control fires at bay, let alone manage forests with fire, explained Tessa Nicolet, regional fire ecologist for the Southwestern Division of the Forest Service at the Arizona WUI and Firewise Summit. …Add to the difficulties, the radical fire suppression efforts of the past 100 years allowed forests to become choked with mid-level bushes and tree starts — perfect fuel to act as a ladder for flames to get into the tree tops. Nicolet explained that the Forest Service now uses logging of the smaller trees and mechanical thinning in order to create the conditions that allow fire back into the forest. Montana’s two Republican lawmakers have been taking persistent heat over never holding public hearings before introducing their respective legislation that would release wilderness study areas. “This all comes down to values,” said Andrew McKean, a Glasgow journalist. …Sen. Steve Daines and Rep. Greg Gianforte have been steadfast in their contention that due diligence has already been done and federal action to release the study areas has been delayed too long. That’s despite the steady drumbeat of opposition. …Daines authored legislation in December to remove protections for five Forest Service wilderness study areas in Montana that total about 449,500 acres. …Gianforte’s bill includes the Forest WSAs from Daines’ bill… and adds another 240,000 acres. It’s time to reinvest and to restore national parks, forests and grasslands. We need more intact ecosystems, better recreation opportunities and to reduce fire hazards to communities. How can we do all this? We can do it with a Civilian Conservation Corps 2.0. The original Civilian Conservation Corps (CCC) was a program that ran from 1933 until 1942 …during the Great Depression. Many of the cabins, fire lookouts and trails that we enjoy today are a result of this program. …I propose that we recreate a Conservation Corps based on the 1930s program and start investing resources in public lands. Call it CCC 2.0. Here is where we could start: State and federal agencies and private contractors already employ tens of thousands of temporary firefighters every year. We build up a massive workforce in June and July for only a few months, the rains finally come and everyone goes home. …Conventional satellite systems that survey vast tracts of land burned by forest fires provide useful, general information, but can gloss over important details and lead scientists to conclude that a forest has recovered when it’s still in the early stages of recovery. According to a team of ecologists at the U.S. Department of Energy’s Brookhaven National Laboratory, a new technique using a combination of much higher-resolution remote sensing methods provides a more accurate and more detailed picture of what’s happening on the ground. In a paper that will appear in the June 2018 issue of the journal Remote Sensing of Environment, they describe how they used much higher-resolution satellite imagery and aerial measurements collected by NASA to characterize a forested area damaged by a 2012 wildfire that had spread onto the Laboratory’s grounds. WARSAW, Poland — Poland’s environment minister has decided to stop the extensive logging in one of Europe’s oldest forests that has been declared illegal by a top European Union court, authorities said Tuesday. Environment Minister Henryk Kowalczyk has ordered the government’s 2017 permission for the increased felling of trees in the Bialowieza Forest to be halted by the top forestry official, a move expected this week. It was the Polish government’s official reaction to a ruling last month by the European Court of Justice that said the increased logging was against EU environmental laws. Poland has vowed to abide by the ruling. VANCOUVER – A small wildfire continues to burn on Brunswick Mountain, north of Lions Bay. 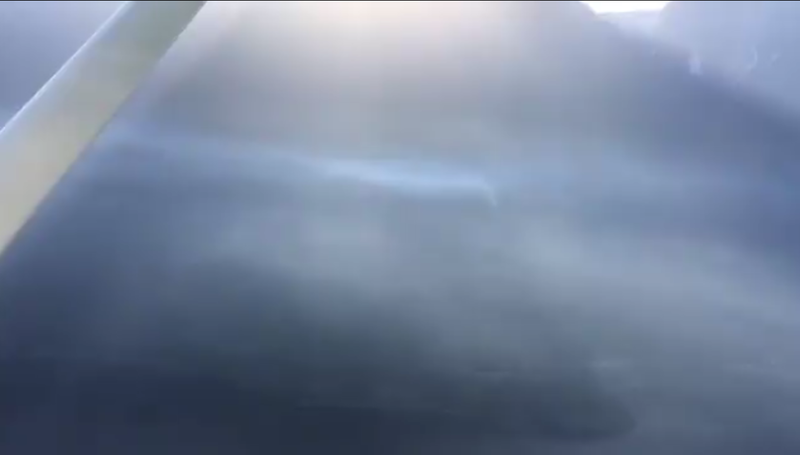 “There’s a lot more smoke in the area today — the sky around that area is full,” says NEWS 1130’s Darren Grieve, who flew over in the NEWS 1130 Air Patrol this morning. “Even when we got to Lions Bay — we’re looking north — we could see that smoke. We could not see that smoke yesterday until we got right over top of the fire itself. So, you can certainly see that that fire has been smoldering all night long.” …The fire is about 0.1 hectares in size. Fire Information Officer Donna MacPherson says ground crews are continuing to tackle the blaze. “This morning, they are hiking up the side of the mountain to gain access into some parts of the fire. It’s in pretty steep terrain, off of a selection of hiking trails up in the area.” …The cause of the fire is not yet known. 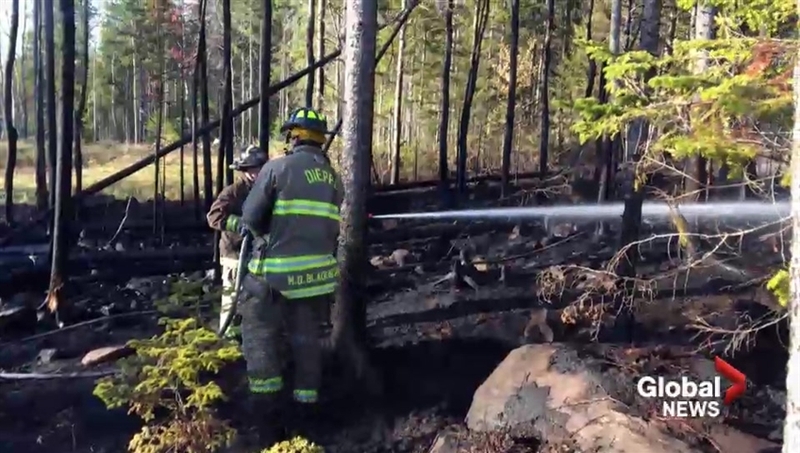 New Brunswick firefighters have now downgraded a wildfire in Miramichi, N.B., to ‘contained’ — a relief for residents of the region. But the now contained fire is only the latest in what has been a busy season for firefighters in New Brunswick. As of Tuesday, the province has had more than three times the number of fires this season (91) as it did at the same point last year (24). The number of fires so far in 2018 is quickly approaching the average number experienced over the last 10 years: 125. The province is under a complete fire ban as forest fire season arrives. Debate about reducing Canada’s greenhouse gas emissions frequently references the costs of different policy choices going forward. There is comparatively little debate about the current and expected economic costs of climate change. Policy debate and decisions need to recognize that there is a cost to doing little or nothing to curb emissions. Real and rising costs are now being felt in two key areas: the economic and financial impact of increasingly severe weather, and the impact on public infrastructure. …Canadian insurers are now facing claims on natural catastrophes… of approximately $1-billion annually, according to the Insurance Bureau of Canada. …Governments across Canada are engaged in trying to promote the reduction in GHG emissions at the lowest possible cost. Policy makers and the public can debate the pros and cons of the differing policy choices available; but we must also agree that there are costs to not taking action. Last summer, the skies of Oregon turned a foreboding share of gray. Forest fires up and down the state blacked forests and left people gasping for air. …The fires and heated rhetoric got Oregon State University researcher Beverly Law thinking about carbon storage and emissions from Oregon forests. …But the study Law and her colleagues put together earlier this year found that wildfire is not the biggest source of CO2 in Oregon forests – logging and wood products are. Figuring out the role of forests and wood in carbon pollution could have major policy impactions in Oregon, as Gov. Kate Brown has pledged to meet the emission goals of the Paris Climate accords. …researchers found that the wood products industry is the largest sector contributing to carbon pollution in the state and “that in a relative sense, fires are small for carbon loss”, Law says. Large swaths of U.S. forests are vulnerable to drought, forest fires and disease. 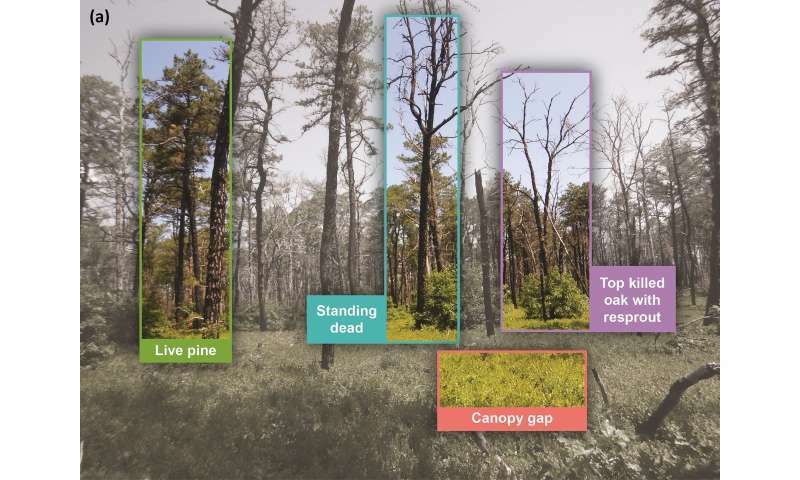 …But if a whole forest disappears, new research shows, this has ricocheting effects in the atmosphere that can affect vegetation on the other side of the country. 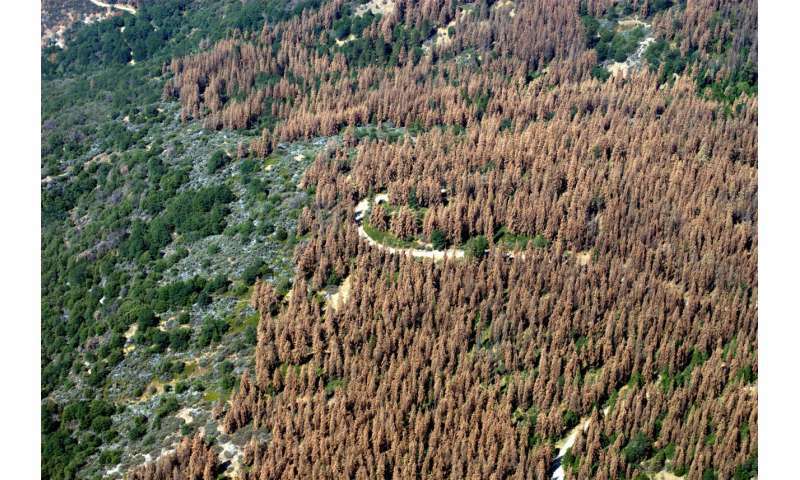 A University of Washington-led study …shows that forest die-offs in specific regions of the United States can influence plant growth in other parts of the country. …”Forest loss is disrupting or changing the flow patterns in the atmosphere that is leading to a slightly different summertime climate in the eastern part of the country,” Swann said. …The study suggests that current forest loss in Western regions is big enough to trigger changes in plant growth, though it might not be possible to detect these small changes over large areas of the country. President Trump traveled to Capitol Hill on Tuesday to participate in a ceremony recognizing law enforcement officers who had died in the line of duty. Both as a candidate and as president, Trump has embraced the law enforcement community as part of his effort to position himself as tough on crime. …While it’s certainly the case that the deaths of law enforcement officers in the line of duty are tragedies, there is some good news: The number of such deaths has been steady or falling in recent years. …We’ll note, too, that while serving as a police officer is indisputably dangerous, there are many occupations in which the fatal-injury rate is significantly higher. The most dangerous occupation in 2016 was logging, by far, followed by fishing and piloting aircraft. PHILADELPHIA – A man claiming to have been permanently blinded and catastrophically injured by a faulty moulding machine at a local lumber facility has sued the manufacturers of the device and the work site where he incurred those same injuries. 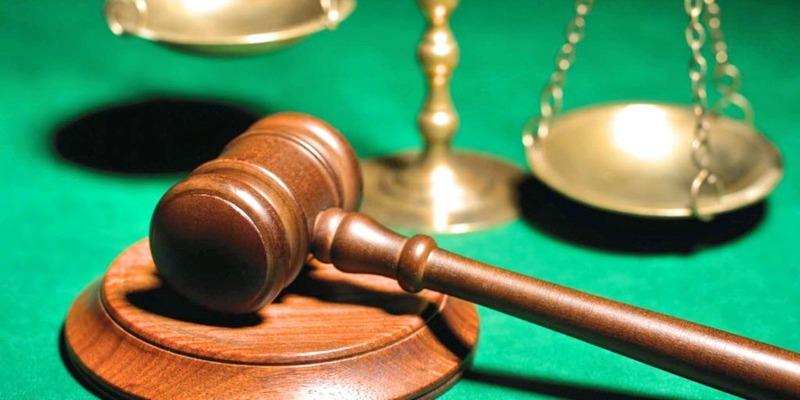 Michael Filipovic and Lenore Filipovic of Pottstown filed suit in the Philadelphia County Court of Common Pleas on April 30 versus Mikron Woodworking Machinery Ltd. and Valley Sales & Equipment (Renfrew) Ltd. of Renfrew, Ontario, Canada, Charles G.G. Schmidt & Company, Inc. of Montvale, N.J. and Tague Lumber, Inc. of Philadelphia. …On July 22, 2016, Michael approached a co-worker’s work station, who was operating an M645 Tilting Arbor Multi-Moulder [when] …a wood board suddenly and without warning shot through the machine, ricocheted off the edge of a bin and struck Michael’s skull near his right eye, the suit says.